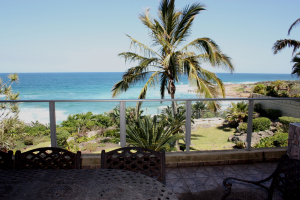 View from Strandloper self catering accommodation in Uvongo on the KZN South Coast. 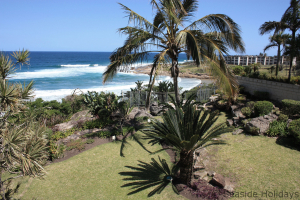 Strandloper self catering accommodation in Uvongo on the KZN South Coast. 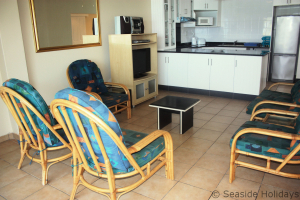 Living area at Strandloper self catering accommodation in Uvongo on the KZN South Coast. 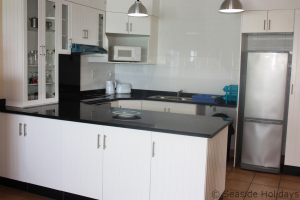 Kitchen at Strandloper self catering accommodation in Uvongo on the KZN South Coast. 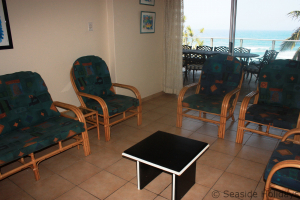 Lounge at Strandloper self catering accommodation in Uvongo on the KZN South Coast. 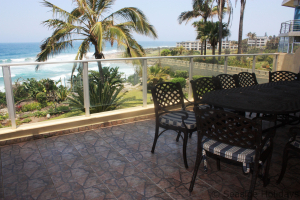 Balcony at Strandloper self catering accommodation in Uvongo on the KZN South Coast. 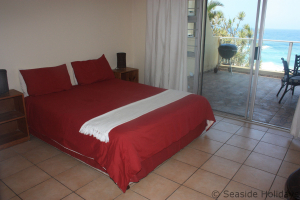 Main bedroom at Strandloper self catering accommodation in Uvongo on the KZN South Coast. 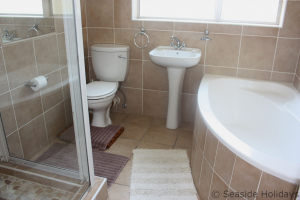 Main en-suite at Strandloper self catering accommodation in Uvongo on the KZN South Coast. 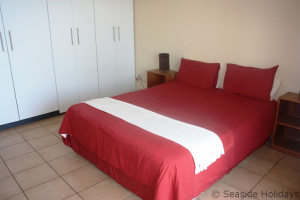 Second bedroom at Strandloper self catering accommodation in Uvongo on the KZN South Coast. 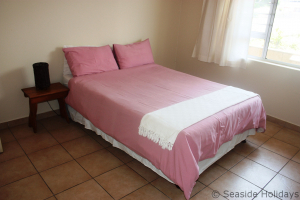 Third bedroom at Strandloper self catering accommodation in Uvongo on the KZN South Coast. 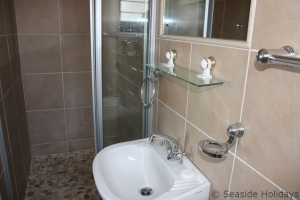 Second bathroom at Strandloper self catering accommodation in Uvongo on the KZN South Coast. 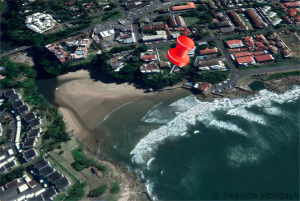 Satellite view of Strandloper self catering accommodation in Uvongo on the KZN South Coast. 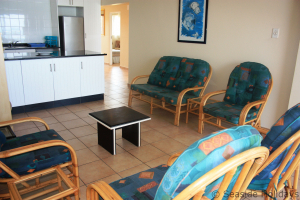 Location simply does not get any better than Strandloper, situated literally on Uvongo beach. 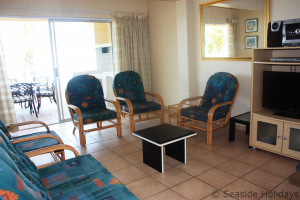 Mere paces away from your unit a private complex gate places you on the beach promenade with its swimming and tidal pool; restaurant, take away and ice-cream parlour; and the popular lifeguard and shark net protected Uvongo beach which is surrounded and sheltered by a gorge with magnificent cliffs, 25m waterfall, intriguing lagoon with pedal boats, and the newly refurbished fishing pier. 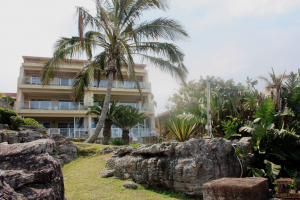 The quiet village town at the rear of the complex has a selection of shops, eateries and pubs just a stone's throw away, and is centrally located between the vibrant towns of Margate and Shelly Beach. 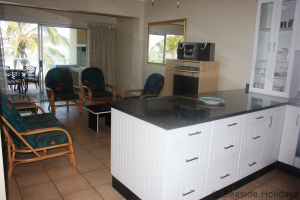 This three bedroom, newly renovated unit on the first floor offers spacious bedrooms and living areas with magnificent views - watch the children swim at the beach, your husband fish at the pier or the dolphins play in the breakers. 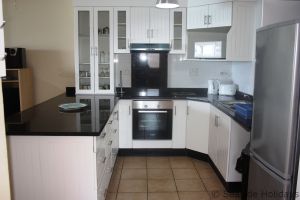 The granite kitchen is fully equipped for your day to day catering needs and is open plan to a comfortable lounge with flatscreen television, leading onto the large covered balcony with el-fresco seating and kettle braai. 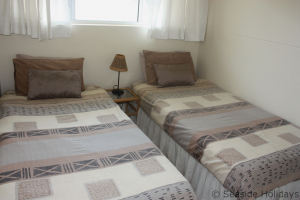 The main bedroom (with double bed) has an en-suite washroom with shower and opens through sliding doors onto the patio; the other two bedrooms (one double and two singles) share a washroom with bath and shower. 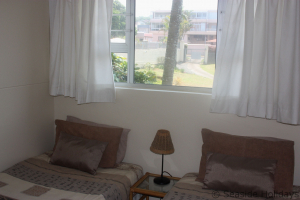 The unit has ceiling fans throughout. 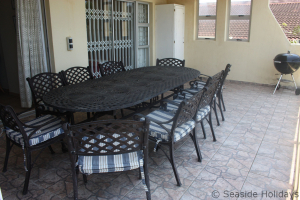 The complex is secure with electric fence, remote controlled gates and a coded gate to the beach. There is a large open parking area with ample space for cars and trailers. 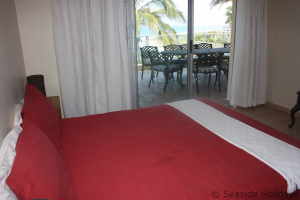 Linen is provided for all the beds but guests should bring their own beach and bath towels. 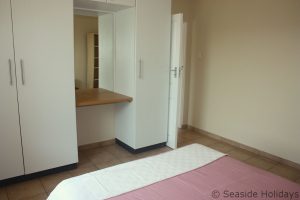 Daily servicing is available on request (subject to availability and charge) but the unit is cleaned prior to your arrival and equipped with a complimentary starter toilet papers, bathroom and dishwashing soaps. Uvongo, named after the Ivungu river is a picturesque town offering beautiful scenery, vibrant restaurants, nature reserves, popular fishing spots and is best known for its awe-inspiring waterfall that falls into the lagoon on a beach surrounded by foliage covered rock escarpments. This unique beach, shark netted and manned by lifeguards is protected from the wind and comes complete with a gorge, waterfall, lagoon, tidal pool, swimming pool, restaurant and hawkers plying curios and craft. Also on offer is snorkelling, pedal boats and fantastic fishing from the pier and rocks. Uvongo is host to the Uvongo Bird Park with walk-through aviaries and tea garden, a selection of sporting fields and facilities, numerous popular restaurants and pubs, shops and grocery stores - all within walking distance - making it a bustling holiday town with a lot to offer its visitors.